“What I enjoy most about my specialty is seeing patients whose lives have been burdened by urinary incontinence and pelvic organ prolapse be healed of their conditions. It’s rewarding to see someone get a new lease on life. 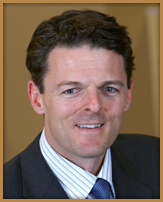 Dr. Bowen specializes in treating urinary incontinence, pelvic organ prolapse, urodynamic evaluations, pelvic reconstructive surgery, urethral bulking implants, endoscopic evaluations, treatment of interstitial cystitis and minimally invasive surgery using laparoscopic robotic surgery (da Vinci) procedures. Dr. Bowen is fluent in Spanish. In his spare time, he enjoys snow- and water-skiing, working out at the gym, vocal performance and choral directing. He also enjoys participating with his many grandchildren in their activities and is highly involved in the LDS (Mormon) church. “Urogynecology is a field that offers me an opportunity to improve the lives of women in all stages of life. The biggest compliment I receive is when patients tell me how much better they feel and how they are able to live their lives to the fullest after completing treatment. Dr. Hilger completed fellowship training in female pelvic medicine and reconstructive surgery at Mayo Clinic in Scottsdale, AZ. His areas of expertise include minimally invasive treatment for urinary incontinence, pelvic organ prolapse, vaginal mesh complications, vaginal agenesis, postsurgical vaginal scarring and robotic surgery for complex gynecologic conditions (endometriosis, uterine fibroids). 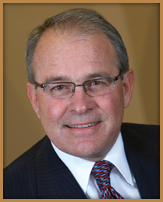 Dr. Hilger is passionate about helping patients of all ages recover from painful and debilitating conditions. When not collaborating with his colleagues and treating patients, Dr. Hilger enjoys running, quality family time and volunteering at his children’s school. “Many of my patients have tried multiple treatment modalities before coming to see me. I enjoy offering hope and reassurance that the majority of pelvic floor disorders are treatable. Patients are often surprised to learn we can perform most procedures in a minimally invasive fashion, making recovery time much easier and faster. Dr. Kasturi has received the David H. Nichols, M.D. Award, 2009, for overall excellence in Gynecologic Surgery and the Society of Laparoendoscopic Surgeons’ Resident Achievement Award, 2009, for SLS Outstanding Laparoendoscopic Resident Surgeon. He has contributed to a number of scientific publications and presentations and has been an investigator for numerous clinical trials for gynecologic surgery. 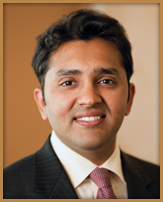 Dr. Kasturi enjoys providing patients with personalized care tailored to their individual needs. In his spare time, he enjoys yoga, soccer, hiking, running, swimming, traveling and cooking. Trust the board-certified, fellowship-trained gynecology specialists at Urogynecology Consultants for your healthcare care needs. Please call (916) 779-1160 (Sacramento) or (916) 772-5533 (Roseville) or use our online Request an Appointment form to schedule your consultation. We welcome patients from Roseville (Placer County), Elk Grove and Sacramento (Sacramento County), Stockton (San Juaqun County), Fairfield (Solano County) and nearby locations.